On those days when your energy, or spoon supply, is limited, it takes incredible strength to persevere. A few weeks back I found myself with no more spoons to give, and have been working on replenishing my health, energy, and soul. This is the reason I have been taking a step back lately from blogging, and trying to reprioritize some other things in my life. Our vacation was just the break and self-care I needed to break my pain and flare cycle. I am just now starting to feel human and like myself again. But what is a Spoon, you ask? I haven’t really been inclined to use the term “spoonie” these past few years, but lately I have embraced it. Some combination of aging, an acute shoulder injury, taking on too much (on top of my fibromyalgia), and my “messy life” has had me really feeling the effects of my condition. 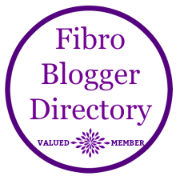 I first heard the term “spoonie” from Julie Ryan at Counting My Spoons many years ago when I came across her and her blog on twitter. And then I recently came across this graphic below, put together by Christine Miserando at But You Don’t Look Sick, that I wanted to share. You can use this graphic to explain to friends and family what it’s like living with a chronic illness, such as fibromyalgia, MS, MECFS. People with chronic conditions tend to have a more limited amount of energy and resources to give than others. We tire easier than others or experience pain from simple, every day tasks like bathing and doing our hair. So on a bad day, by the time I have gotten out of bed, done yoga, showered and gotten ready for work, made a smoothie and packed my lunch, I could have already expended the majority of energy for the day. ALL BEFORE I LEAVE THE HOUSE. Chronic condition or not, we are all heroes in some regard. We all face different obstacles in life. How you cope and persevere through those obstacles and low-spoon days help defines you. How many spoons have you already used today? And how do you cope when you run out? Yes, I am familiar with the spoon concept, although I use the battery analogy. Today I have used 9, I have become acutely aware to not use the 12 otherwise I really pay for it! Nice. We have to do whatever keeps us grounded and healthy, and acutely and painfully aware to do our best and avoid those flares. Have a great day!